Salvage Honey 6x40 Glazed and Matte finish Porcelain large planks. SOLD BY BOX OF 8 TILES = 13.36 SQ FT.
Salvage Honey 6 in. x 40 in. Porcelain Tile combines varying shades of beiges to create a warm, subtle hue that never goes out of style. Offering the look of natural antique hardwood without all the upkeep, this matte finished porcelain plank is renowned for its beauty and durability. Plus it’s versatile. Unlike hardwood flooring, it’s recommended for use in damp areas like kitchens and bathrooms. It’s equally appealing when used for floors in bedrooms, living rooms or anywhere you want to add a touch of character. 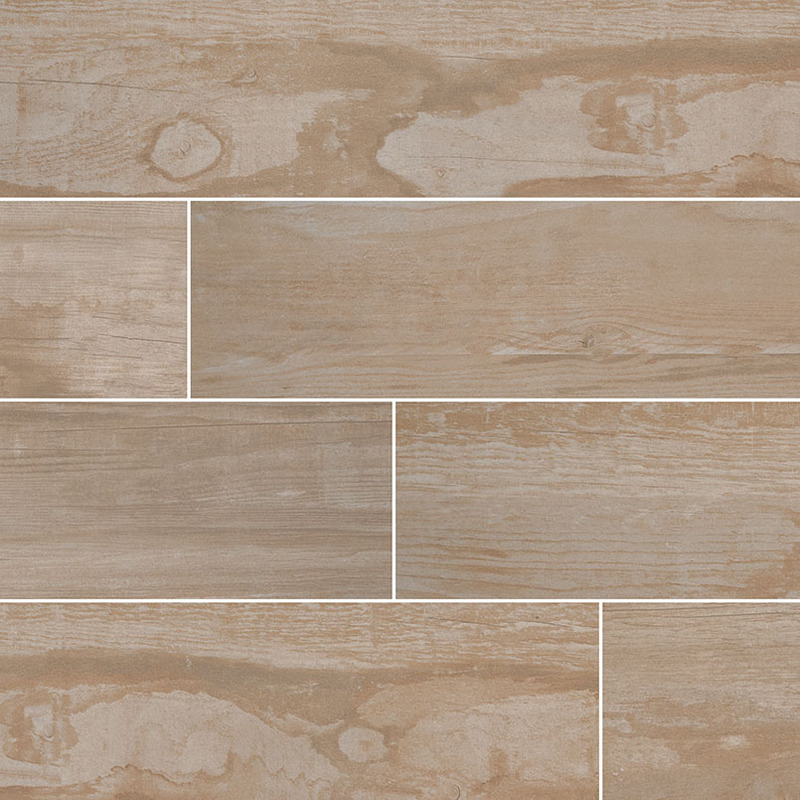 This porcelain wood look plank creates one-of-a-kind feature walls and countertops too. If you’re shopping for gorgeous tile that looks like wood, this one’s hard to beat.